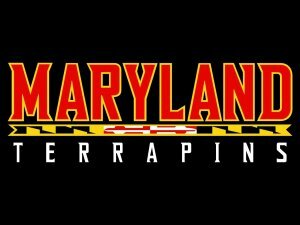 Maryland Terrapins or simply Terps represents the University of Maryland in NCAA Division 1 competition. This year’s edition of March Madness, the Terps earned the sixth seed in the 2019 NCAA tournament. Before getting deeper into how the Terps fared in the tournament, it’s time to get to know the Maryland Terrapins teams. Tyler Byrum of NBC Sports wrote an article about the sixth seed Maryland Terrapins and what you need to know about this awesome team. Read more below. The Maryland Terrapins rode behind a stellar duo in the paint and a talented point guard to guide them through the Big Ten. As a result, the Terps are in the NCAA Tournament for the fourth time in five seasons. From the onset of the year, the Terps had high expectations to perform with potential lottery pick Bruno Fernando returning after his phenomenal freshman campaign. Some expectations were so high that many considered head coach Mark Turgeon’s job to be on the hot seat if the team did not deliver. Fortunately for him and the program, it worked out. Not only did the Terps start the season strong, but they also won eight of their first nine Big Ten contests. The Terps were in line for their first double-bye in the Big Ten Tournament up until the final two weeks of the season. An inexplicable loss to a 14-win Penn State is what ultimately did them in. But, they’ve been successful this season, with multiple wins over ranked opponents, because they are an instant mismatch. Not many teams can match-up with 6-10 Fernando and 6-10 Jalen Smith at the same time. Both of them also have the option to kick it out to Eric Ayala (42 percent from three) and Aaron Wiggins (41 percent from three). This is actually the fourth time in five seasons the Terps qualified in the NCAA tournament. Their basketball program became very effective and worked for the team the past seasons as well, making them sixth seed. What is even more amazing is that the Terps had beaten ranked opponents with their inside-outside game and a good combination of veterans and young guns. Emily Giambalvo wrote an article about the Maryland Terp’s amazing run at the NCAA tournament, saying that this feeling will be unforgettable for all the fans. Check out the article below. Heading into March Madness, the experience was new for almost every player on Maryland’s young team. Seven members of the Terrapins’ eight-man rotation had never played in an NCAA tournament game, and Anthony Cowan Jr., the lone returner, had never won on the stage. Freshman guard Eric Ayala watched tournament games as a kid, filled out his bracket and hoped to make it there. But as he sat in a locker room filled with reporters before the team’s first pre-tournament shoot-around in Jacksonville, Fla., Ayala mentioned how from the outside, all he had ever seen was the basketball — not everything else that surrounds the games. Now he knows. And all his teammates, many of whom will return next season, know, too. But after LSU’s late basket erased Maryland’s hopes for a comeback win in the second round, the players had a hard time looking ahead when the loss still felt so fresh. It was indeed an amazing run by the Terps in March Madness. For some these players, the experience playing into the NCAA tournament was a totally new experience for them. Despite bowing out in the first round of the competition, the team believes that they will benefit from this experience in the upcoming seasons. Don Markus also wrote in Baltimore Sun about the amazing run of Maryland Terrapins this season that the team could build up momentum for the upcoming seasons. Check out his awesome article below. When Maryland lost to Kansas three years ago in its first NCAA tournament Sweet 16 appearance since 2003, Mark Turgeon knew that a majority of his starting lineup would not be back in College Park the following season. A year later, when the Terps lost to Xavier in its first opening-round exit since 1997, Turgeon knew that star point guard Melo Trimble’s college career was coming to an end. In each case, Turgeon understood that he would not be reloading as much as he would be rebuilding. As tough as this season’s ending still might be for Turgeon and his players, that’s what makes Maryland’s 69-67 loss to LSU in the Round of 32 on Saturday at VyStar Veterans Memorial Arena more palatable and more promising. Though sophomore center Bruno Fernando is expected to leave for the NBA, the other four starters, including second-team All-Big Ten guard Anthony Cowan Jr., and three freshmen reserves should be back for the 2019-2020 season. 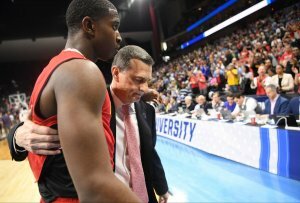 Given where the Terps were a year ago, when they saw a disappointing 19-13 season end with a second-round loss to Wisconsin in the Big Ten tournament, Turgeon knows how much better positioned his program is now. “I never think my program is in bad shape, that’s just my opinion,” Turgeon said after the Terps lost on a last-second layup by LSU’s Tremont Waters. “I always think we’re in good shape. With their amazing performance in this year’s March Madness, a lot of fans will be much more excited for the Terps next season. However, this could also mean more pressure for the remaining players where the majority of them have very little experience at handling pressure.